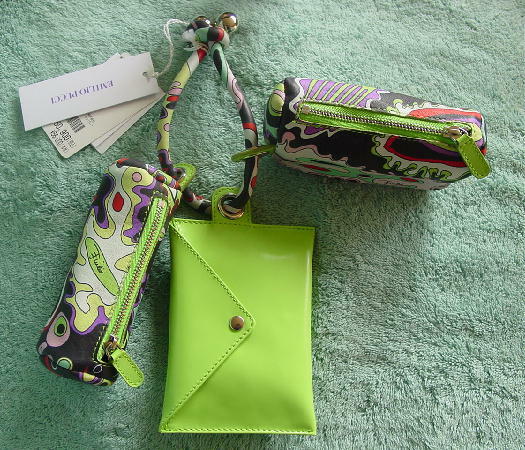 This never-used three-piece combo is a Emilio Pucci and was made in Italy. 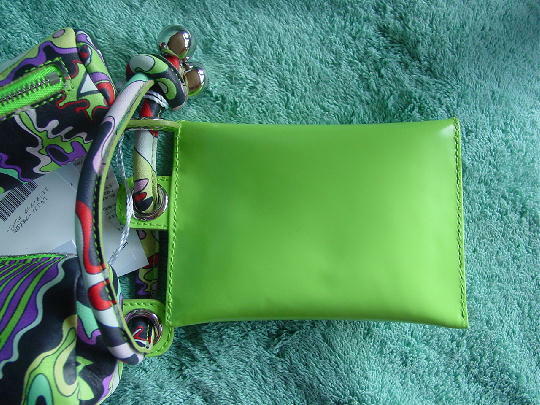 The center piece is a bright green (calf) patent leather. It has an envelope styling with a silver-tone metal snap closure. 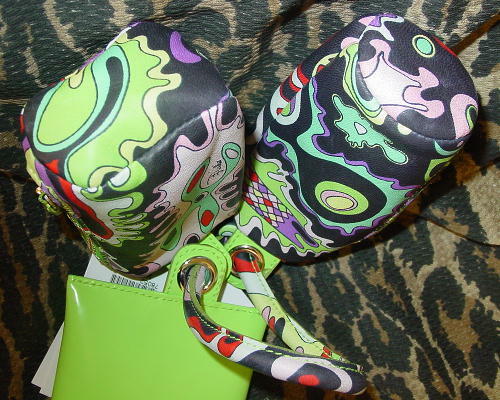 There is a black 100% polyester lining with a curved line tone-on-tone design pattern. 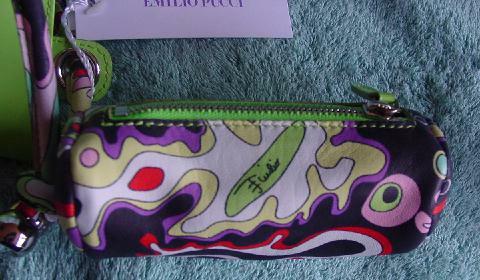 The interior has a bright green leather pocket with a green tag with Emilio Pucci etched on it with Made in Italy Genuine Leather below it. 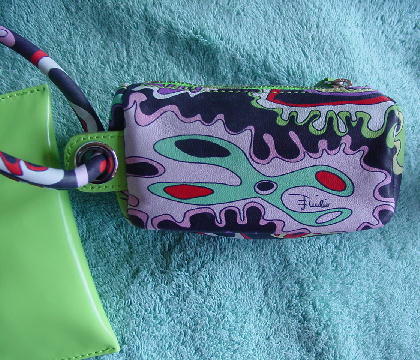 On each side of it is a little pouch with a top zipper and a leather pull. 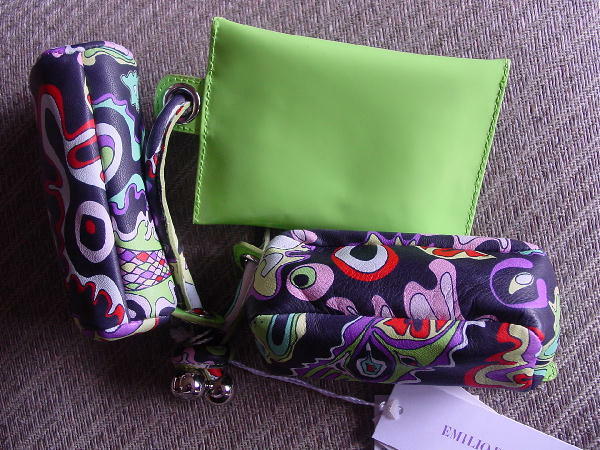 They both have the same polyester black lining. 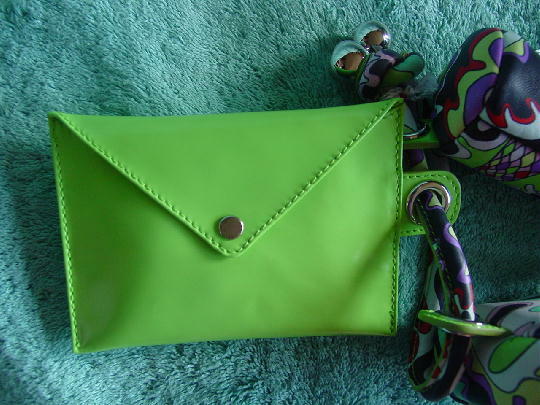 The handle strap and two pouches are lambskin. 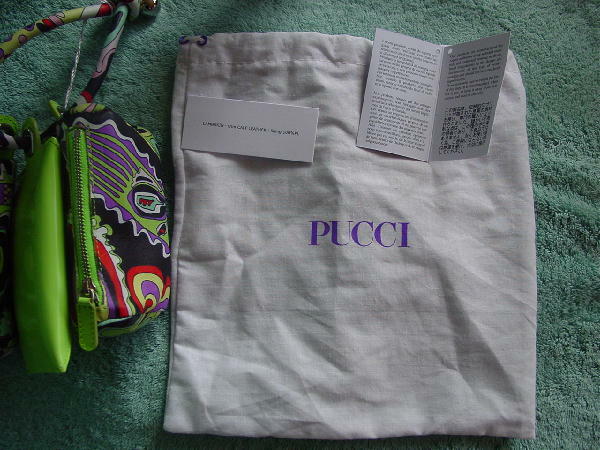 The handstrap is tied with silver-tone metal balls with Pucci etched on each bottom. 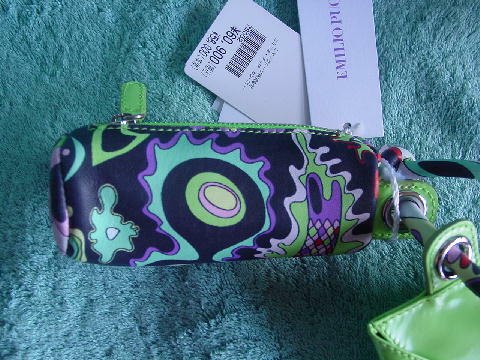 The manufacturer's tags and the Japanese store price tag - yen 60,900 (approximately $500 US) are still attached. The ends of the handstrap are tied (6" by 3/8" in the current configuration). 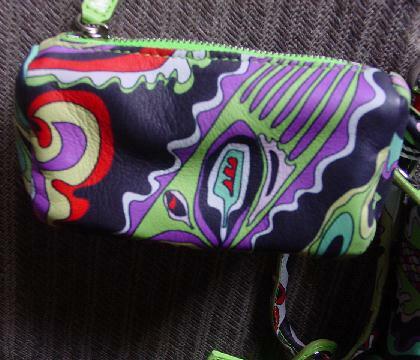 The two pouches have a psychedelic design pattern in black, pale pink, turquoise, black, hot pink, green, yellow, offwhite, red, purple, deep baby pink, aqua, and white. 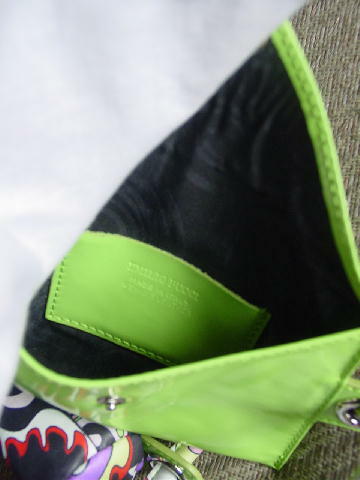 The pouches have top side to side zippers. You can untie the strap if you don't want to carry all three at once, or you can change the order of the arrangement.